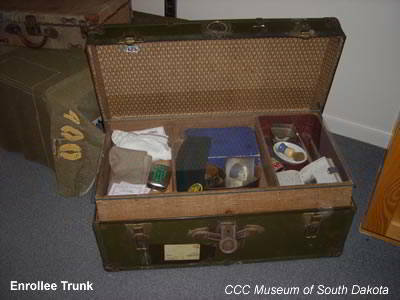 An enrollees' trunk displays the personal items of a young man serving in the Civilian Conservation Corps (CCC) at one of camps in the state. This is just one the many donated and collected pieces of history that have found a home at the CCC Museum of South Dakota in Hill City. 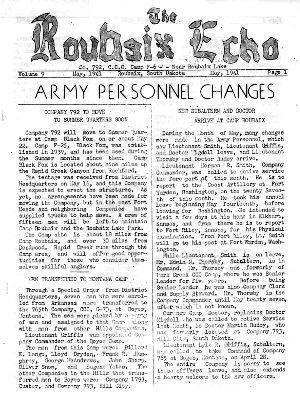 Each CCC Camp had its own newspaper. Several have been donated to the Museum and are display with some having been reproduced so visitors can read them without damage to the originals. A copy of The Roubaix Echo from 1941 and A Handbook For The New Recruit are two examples. Both of these are from many donated by Dean Talty. The work was hard and the tools are a reminder of how hard that work must have been. Tree thinning, dam building, fire suppression and prevention, bridge building and many other projects required hands on hard work. 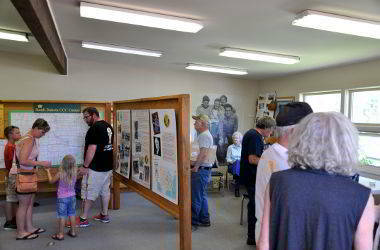 Visitors can view camp photos and maps and a printed roster is available to lookup relatives or familiar names of men who worked in the Civilian Conservation Corps. 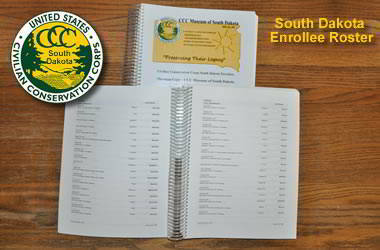 In South Dakota some 30,000+ men served and while the collecting of names is on-going, the count of names on record at the Museum is well over 20,000. 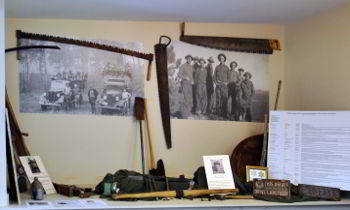 All of the items in this collection help to tell the story of the Civilian Conservation Corps in South Dakota. 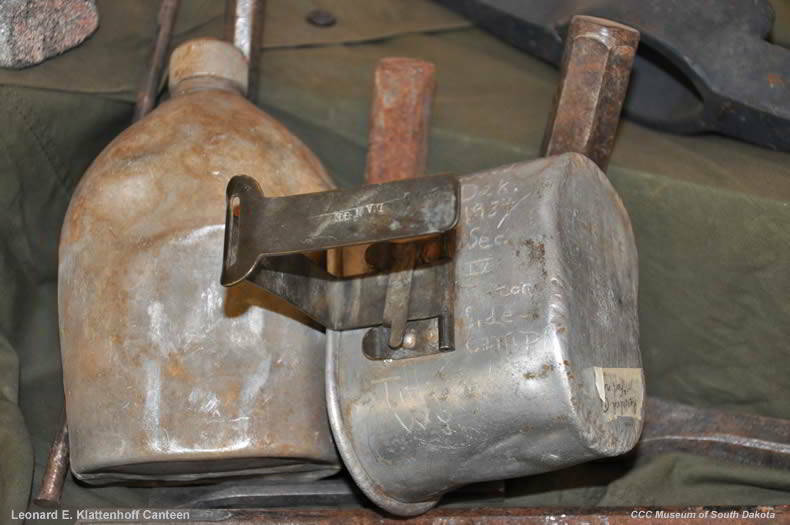 The historical significance of the CCC is maintained and magnified by the treasures left personally or donated anonymously.